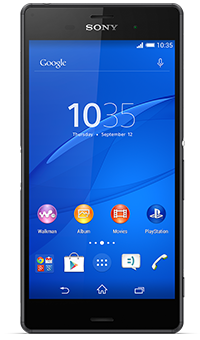 The waterproof Sony Xperia Z3 blends design and engineering to deliver a smartphone that can keep up with you for two days on a single charge. 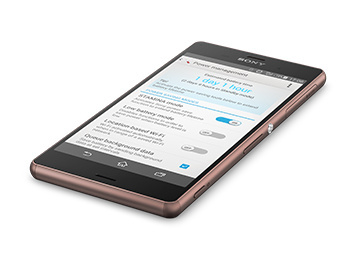 Its super-slim, rounded aluminium frame houses an advanced 20.7 megapixel camera with 4K video technology. Thanks to an IP65/68 waterproof rating – the highest available – you can confidently find your way in a downpour, take pictures underwater or wipe-off your phone after an unexpected spill without worrying. 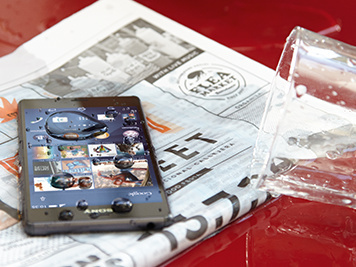 You can even take the Xperia Z3 swimming in fresh water for up to 30 minutes and dive down to 1.5 metres with it. Just remember that all the covers for the micro USB port, the micro SIM slot and the memory card slot must be firmly closed. Some of the best times happen after dark. 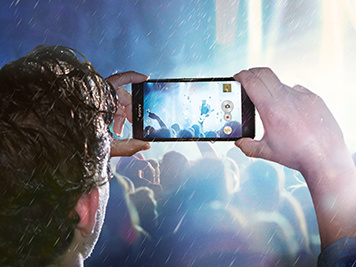 That’s why Sony have put its years of camera expertise to work in the Xperia Z3 to help you catch those special moments, even in low-light. The 20.7 megapixel Cyber-shot camera can take crisp, clear shots at night or underwater. Plus the 4K video camera with Handycam technology means you can record stunning, better-than-HD video wherever you are, whatever the time. The Xperia Z3 has been designed to be as efficient as possible in every detail and is powered by an extremely powerful battery. The result is an Android smartphone with a two-day battery life*, so you can use it all day without worrying you’ll miss that important call or email – and the next day too. * Based on multiple battery performance testings conducted between July and September 2014 in a laboratory under active use conditions reflective of the Typical Smartphone User by Sony Mobile Communications AB.